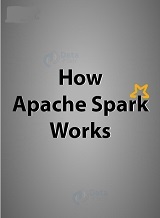 This book introduces Apache Spark, the open source cluster computing system that makes data analytics fast to write and fast to run. With Spark, you can tackle big datasets quickly through simple APIs in Python, Java, and Scala. This edition includes new information on Spark SQL, Spark Streaming, setup, and Maven coordinates. Jacek Laskowski is an independent consultant who is passionate about software development and teaching people in effective use of Apache Spark, Scala, sbt, and Apache Kafka (with a bit of Hadoop YARN, Apache Mesos, and Docker).